Leading Manufacturer of steel doors and stainless steel folding security doors from Surat. 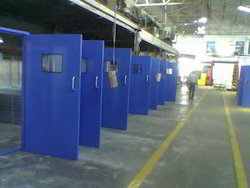 We are a manufacturer and exporter of Steel Doors. These door grills are manufactured using finest quality raw material. Shutters are mechanically jointed and having thermal barrier. Star Metal presents you the quality security entry door, steel security door and other sorts of doors ever. Being one of the most reliable, garage security door manufacturers and exporters in India, we use the best quality raw material for production. 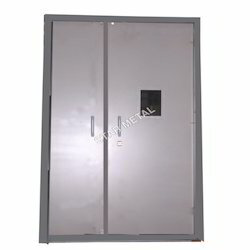 With the latest techniques and equipments we produce best security entry door, steel security door, garage security doors etc. In addition, our security entry door, steel security door, garage security door and other products are at the lowest price than any of other brands in the market.